The company, which has occupied the site in St Stephens since 1992, expects the store to re-open in April. Staff have been relocated to neighbouring QD Group stores. 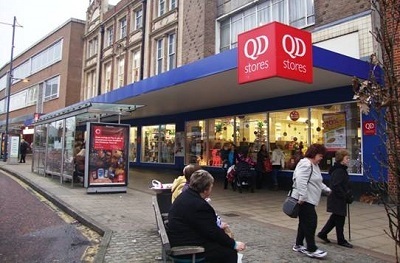 QD operates 38 retail outlets under the QD, Lathams of Potter Heigham and Cherry Lane Garden Centre brands, extending from the eastern England and Home Counties as far north as Doncaster and west as Wrexham. The Group, which recently re-developed its Clacton-on-Sea outlet and opened a new concept store in Hadleigh, Suffolk, has an active programme of store improvement underway. "We are enhancing the customer experience at a number of our stores with new signage, flooring and ceiling systems," says QD group managing director, Justin Farrington Smith. "St Stephens is a large outlet located on a prime site in our home city. It's important to us and we felt it was time now to bring it into our refurbishment programme."